In an exclusive STV documentary, Justice Secretary Kenny MacAskill insists the decision to free Abdelbaset Al Megrahi was his alone. There was no backroom deal struck to secure the early release of the Lockerbie bomber, Scottish Justice Secretary Kenny MacAskill has told STV. The Scottish Government’s decision to release convicted terrorist Abdelbaset Al Megrahi on compassionate grounds sparked outrage on both sides of the Atlantic. Despite medical advice that he might have less than three months to live, almost one year on Megrahi is still alive at his home in Tripoli. A wave of fresh controversy has erupted in recent weeks with some American senators alleging the early release was part of a secret deal with the Libyans following lobbying by oil giant BP. Mr MacAskill vehemently defends his controversial decision in STV’s powerful documentary “The Lockerbie Bomber: Sent Home to Die” which is broadcast on the channel tonight to mark almost a year since Abdelbaset Al Megrahi’s release. The Justice Secretary insists it was his decision and his alone to sanction the release. “I authorised it. I did so in good faith and I believe everybody who’s been involved in this has also acted in good faith. It was my responsibility and I stand by my actions”, he said. 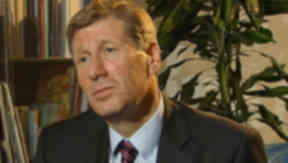 Mr MacAskill also dismissed allegations of a backroom deal with Libya. However, despite repeated denials that the Scottish Government had no contact of any kind with BP the Justice Secretary concedes that he was lobbied by the powerful Libyan British Business Council whose members include the oil company. However he insists a letter, written by former conservative defence Minister Lord Trefgarne whose son is a former media executive with BP, had no bearing on his decision. Narrated by Kaye Adams, one of the first reporters at the scene, the documentary charts the story of the disaster from that horrific night on December 21 1988 through to the latest furore over Megrahi’s early release. The programme features archive news footage and new interviews with relatives of the victims, Scottish and American detectives who led the Lockerbie investigation and prosecution and defence lawyers who fought the case in court. The Lockerbie Bomber: Sent Home to Die will be shown on STV at 9pm on Monday August 9.